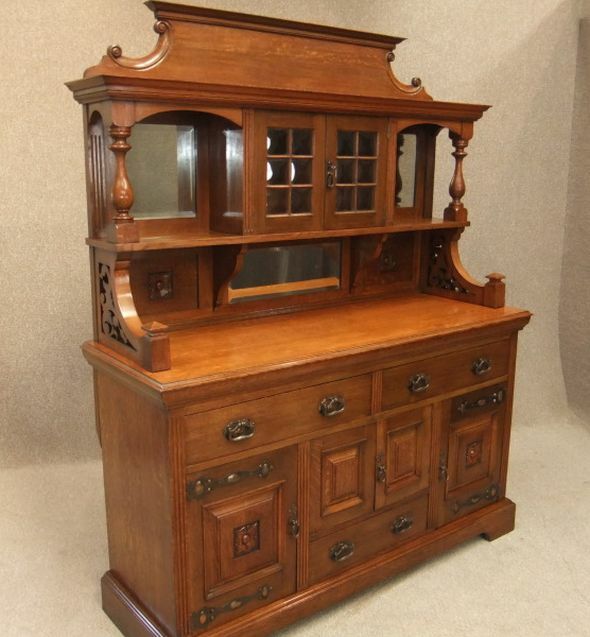 A magnificent piece of classic English furniture; this beautiful solid oak arts and crafts sideboard features bubble glass centre doors, and flanked by two bevel edged mirrors. This sits upon a large sideboard base with numerous drawers and cupboards; one cupboard still retains its original decanter slide out tray. We do have keys for all the locks, and with its quality copper strap hinges, and all original handles and lock escutcheons, this piece would make a fantastic feature in any large dining room, hallway or reception.